Hear about the potential role of innate immunity in neurodegeneration and cognitive function, particularly in Alzheimer's disease. Learn how immune-related pathways regulate the development, refinement, and elimination of specific axons and synapses during development. Gain an understanding of how recent work can provide insight into protecting synapses in neurodegenerative and psychiatric disorders of synaptic dysfunction. Chronic activation of the innate immune system is now well established as an underlying factor contributing to neurodegeneration—the progressive dysfunction and loss of neurons in the central nervous system leading to cognitive and motor disorders such as Alzheimer’s, Parkinson’s, amyotrophic lateral sclerosis, and others. 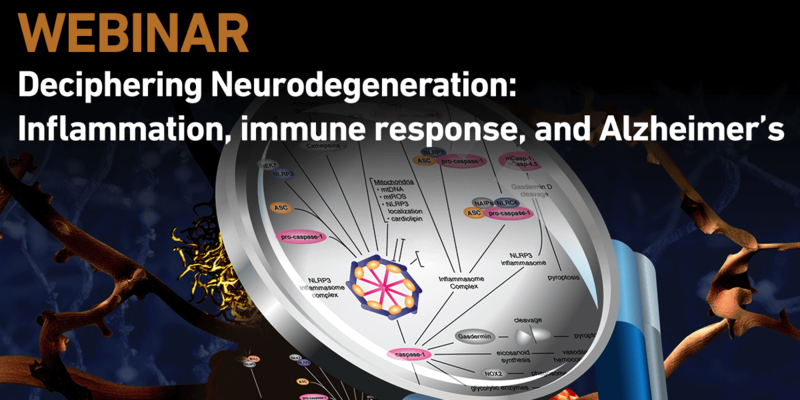 In this webinar, speakers will share their research on immune response–mediated onset of neurodegenerative diseases, and explain the genetic and physiological regulation of microglial function in both healthy and diseased states.